Following their appearance with Danny & The Champions of the World in September, William the Conqueror return to headline the Castle in November! 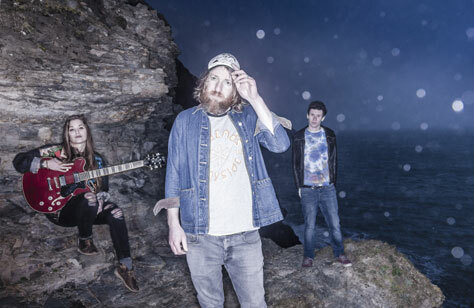 Cornwall trio William the Conqueror have been picking up praise from far flung corners ever since Ruarri Joseph took the step to go public with his erstwhile secret alter-ego. Debut album, Proud Disturber of the Peace, was released in the summer to widespread critical acclaim, and their shows have been steadily winning over fans up and down the country. After a summer of festivals, followed by a tour opening for Loose label-mates Danny & the Champions of the World, the band are now readying themselves for a run of headline shows. Praised for their grit and authenticity by the likes of the Guardian and NPR’s Ann Powers, they made their mark at AmericanaFest in Nashville, signing to Loose, and going on to pick up a nomination at the UK Americana Awards 2017, where they shared the stage with the likes of Van Morrison, Richard Thompson and Ethan Johns. Support comes from South Island Son. Beginning life in a rehearsal room floating three floors above Manchester’s Northern Quarter, frontman Jonny Woodhead brought together other like-minded stooges to create the quartet, South Island Son.